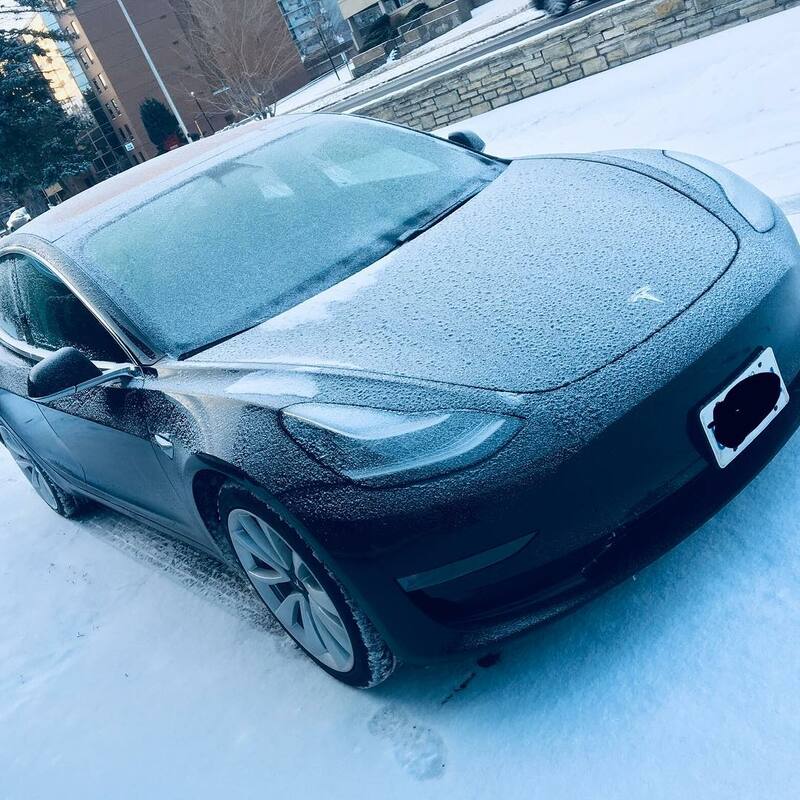 Since it's the winter season, looking at freezing Model 3 photos will surely give you that ultra-cool feeling inside. 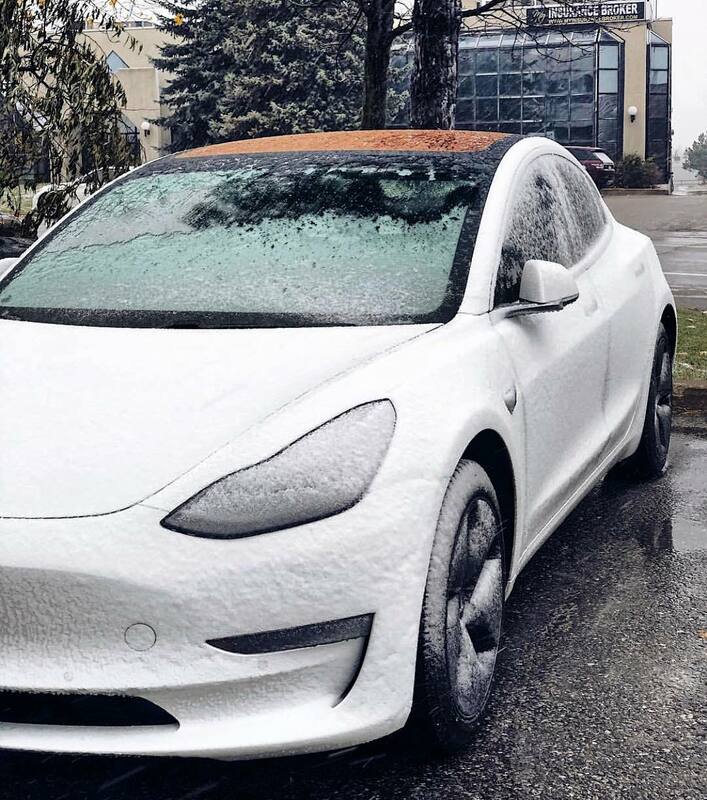 So we've curated some 'Tesla Model 3 in Snow' photos for your viewing pleasure and present the following images as our favorites. 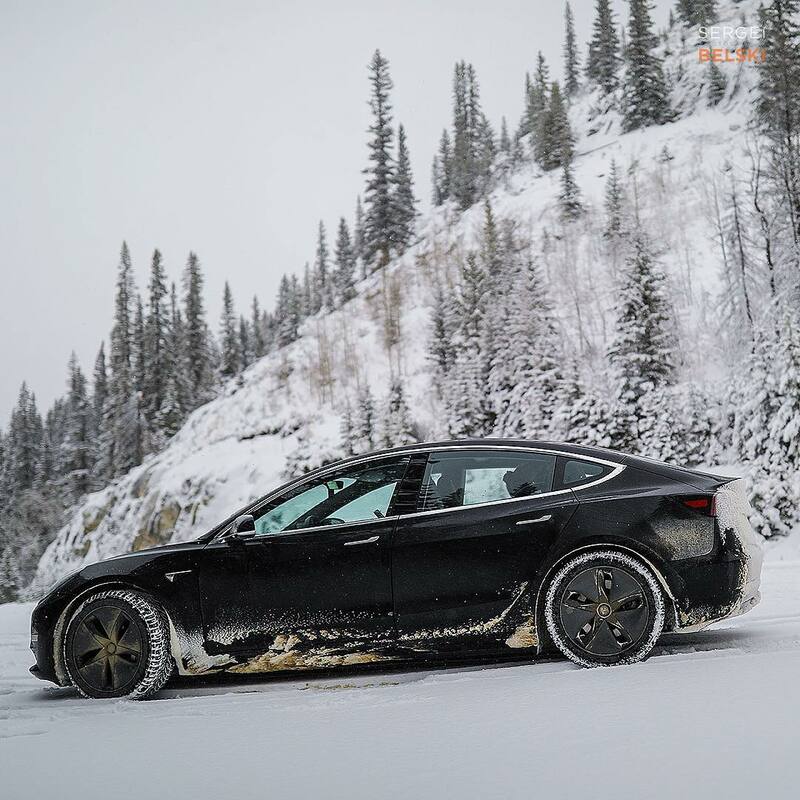 The question I get asked the most is if my Tesla is AWD... the answer is no, it’s RWD and it’s amazing in snow and ice! I do have great winter tires on... Nokian Hakkapeliitta 9, studded. 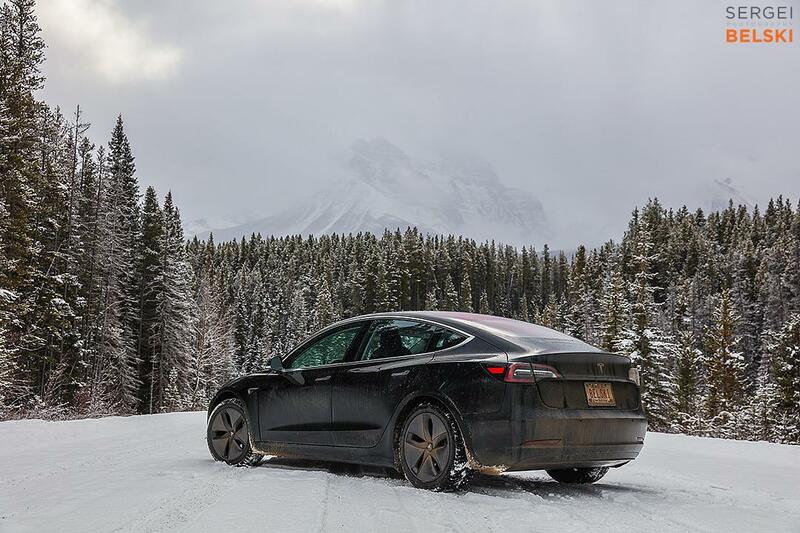 Sergei recently took his RWD Model 3 to Banff National Park, Canada and took some stunning photos (you can ask Sergei for a photoshoot by contacting him via his blog) — and because his Model 3 happens to be black, it creates a beautiful contrast with the white snow — check out the gallery below. 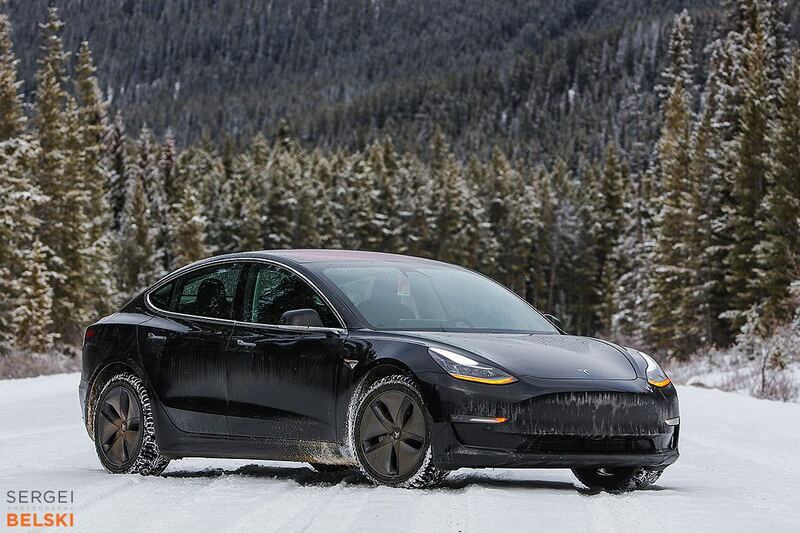 Installing winter tires for snow/ice driving is an excellent safety measure you can implement once the temperature drops — besides this step, there are several other cold weather tips you can follow to enjoy the winter season in your Model 3 or any other electric vehicle. If you have a specific question related to winter tires, you can reach out to our friend and tire guru Ian Pavelko (@IanPavelko) for a little professional advice. 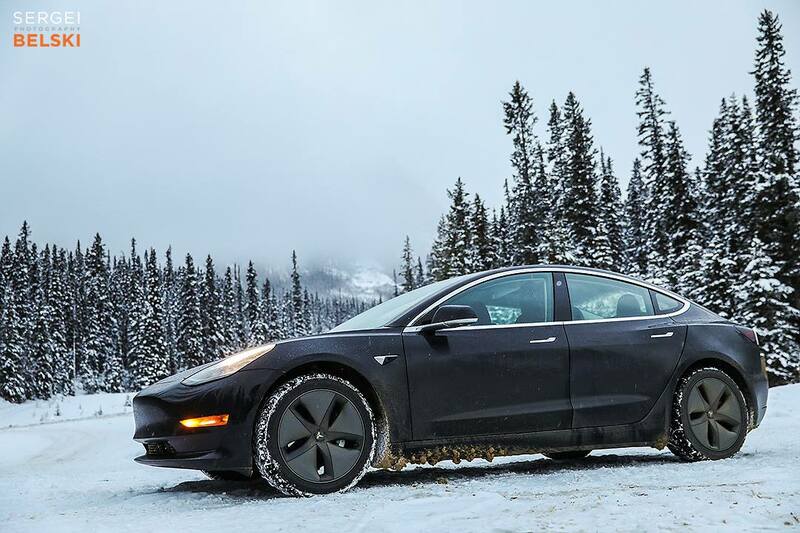 And if you want to experience some of this frigid fun for yourself, fill out the form on Tesla's website for a chance to experience track mode in a Model 3 Performance so you can "race across a wintery ice track with a trained professional" on a frozen sea in Finland. For more bone-chilling fun, we've curated another gallery of 'Model 3 in Snow' photos — these are a few of our favorites from Instagram, take a look below. 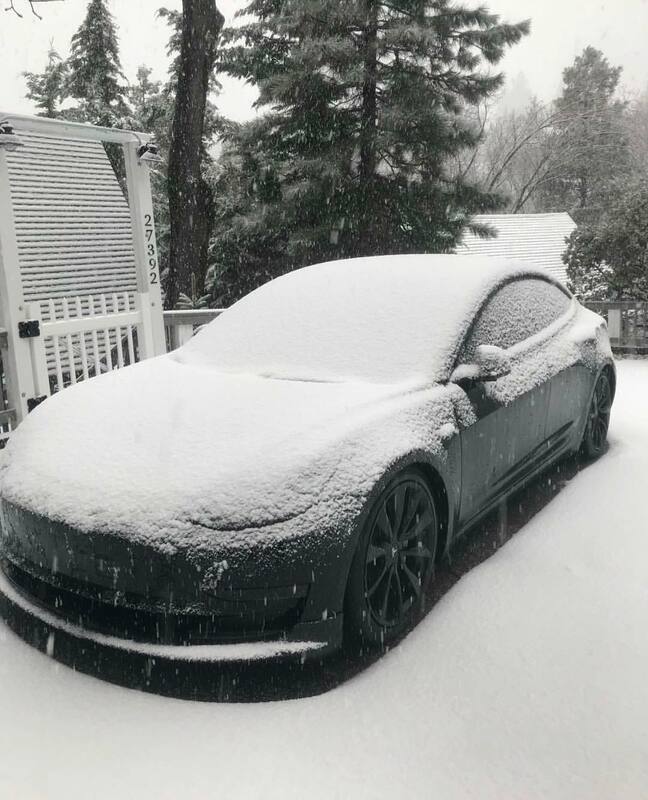 In addition, Tesla recently posted a few more videos of a Model 3 taking on some snow — Tesla did not reply which variant of the Model 3 it was but we assume that this was the Model 3 Performance with winter tires and 'Track Mode'. 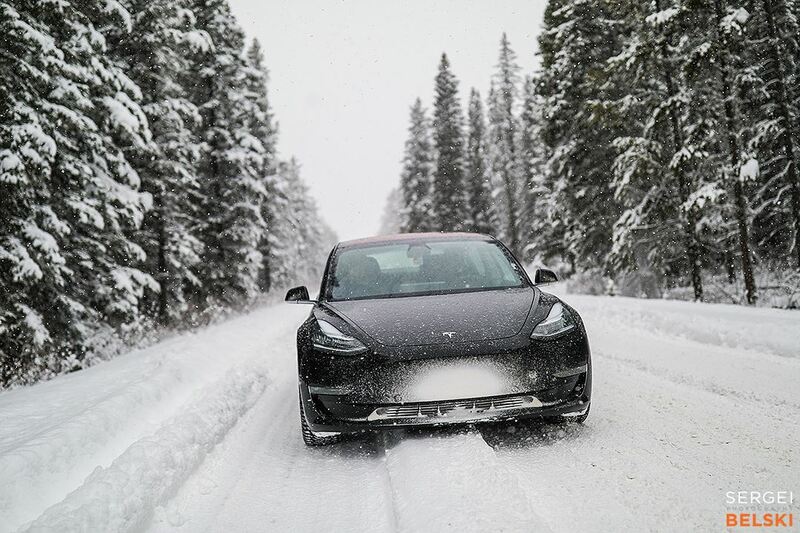 In Tesla's videos, Model 3 displays its true winter performance potential in vehicle handling, track grip, and maneuverability — regardless of conditions. 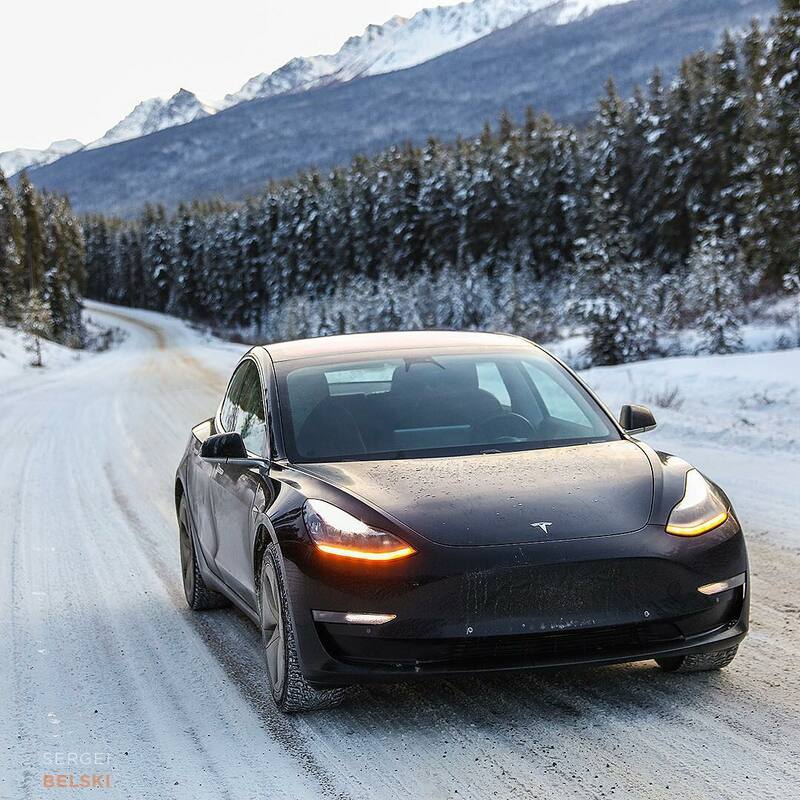 To get an inside look at how Tesla gets such impressive performance in these icy cold conditions, be sure to check out their winter testing facility in Alaska. Written by: Iqtidar Ali; This article originally appeared in X Auto.